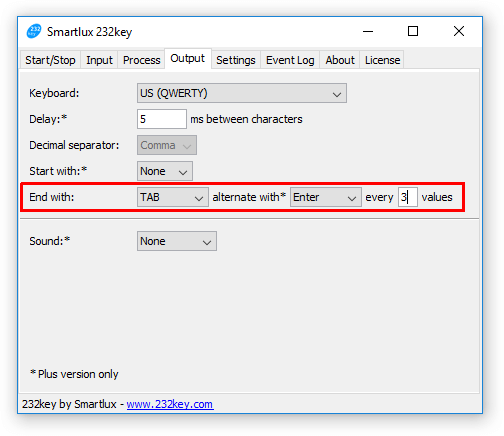 Version 2019.1 of our virtual keyboard wedge software 232key is now available. * This device profile requires a Plus license. Please contact us for trial licenses. 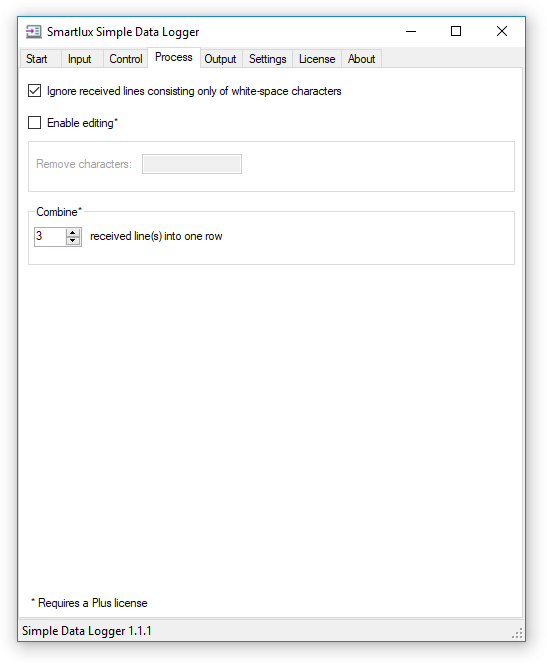 Bug fixed: Function keys set under “start with” were not working correctly. Are you interested in reselling our software? Click here for further information and to apply for a reseller account. Device profiles: Mettler Toledo (MT-SICS), Sartorius (SBI), Sartorius (SICS), Denver Instrument. 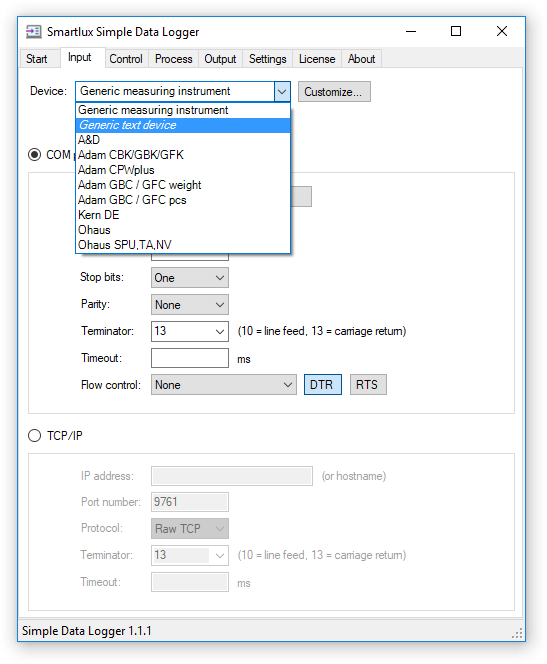 Previous “Sartorius” device profile renamed to “Sartorius (legacy)” and modified to set flow control to “RTS/CTS” automatically. This profile works with older Sartorius balances which require hardware flow control. These improvements were possible thanks to the feedback from our customers. Nothing happens when the license key is pasted into the license key text field (and the OK button is pressed). This bug only appeared when the system locale was set to Indonesian, Malay, Hebrew, Arabic, Chinese, Japanese, Thai, Vietnamese or Hindi. 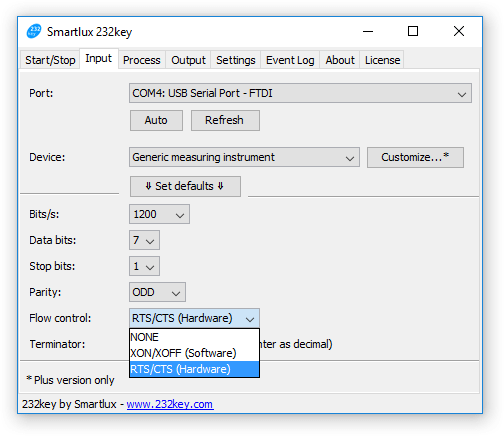 Does 232key work with Moxa NPort serial device servers? Yes. Please take a look at our newest FAQ entry for further information. 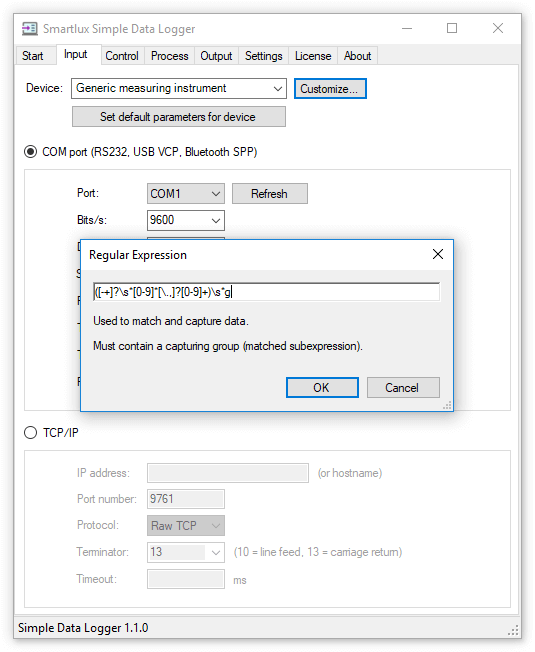 Format LinkPosted on 2018-11-21 Categories SoftwareTags 232key, moxa, nportLeave a comment on Does 232key work with Moxa NPort serial device servers? 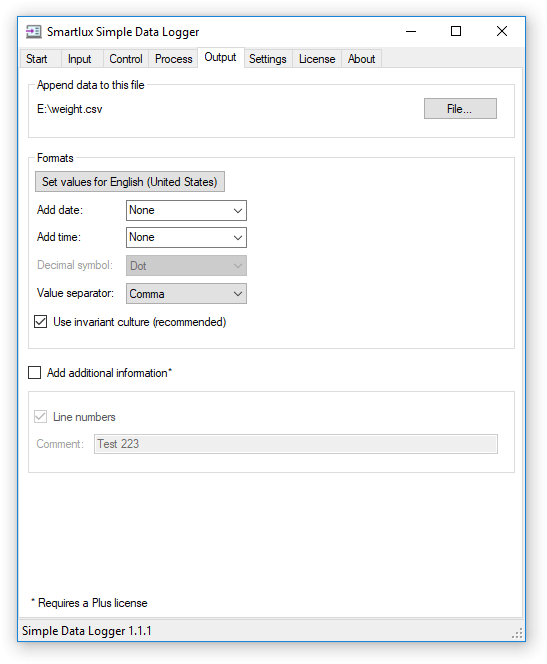 We present two methods for transferring these values to Excel. While the weight has been captured correctly, the date and time are incomplete. 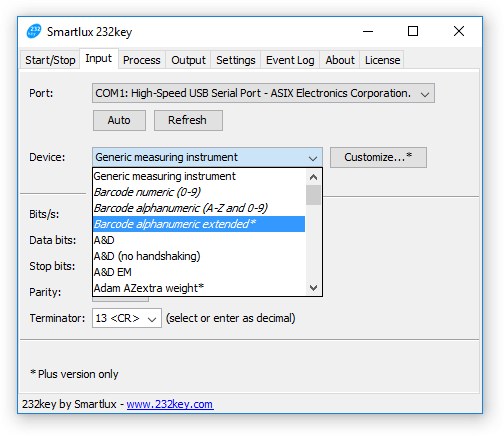 This can be fixed in 232key Plus as follows. 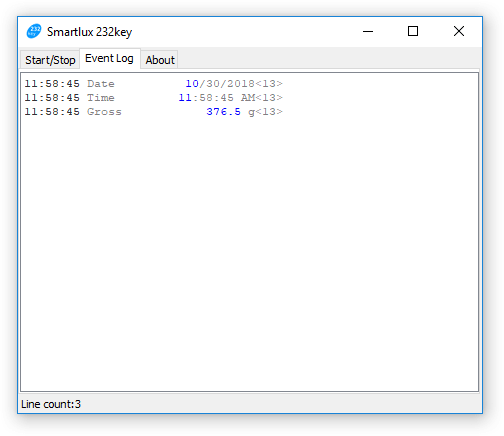 This enables 232key to type all printable ASCII characters including the slash and colon we need for the date and time. This expression will capture the date, time (in 12h AM/PM format) or weight. This only works if the values are transferred in individual lines, as in our example. 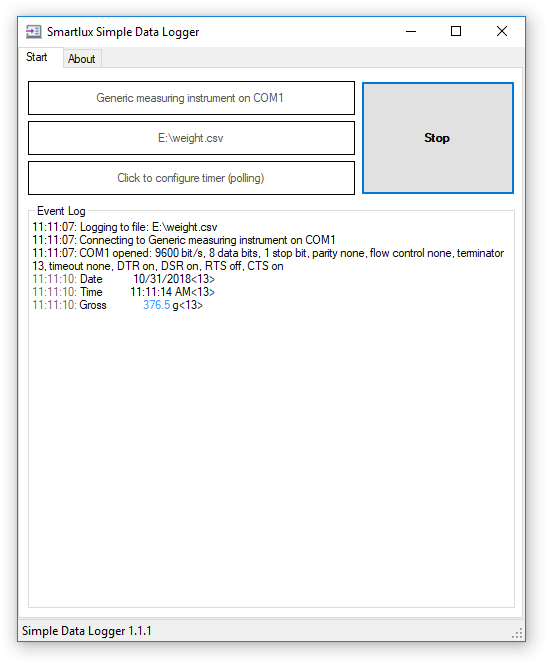 As an alternative to the “keyboard simulation” method described above, you can use our software Simple Data Logger (SDL) to write the weight to a file. 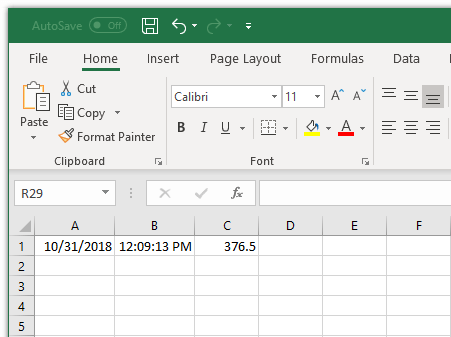 This file can later be opened in Excel (or other applications). 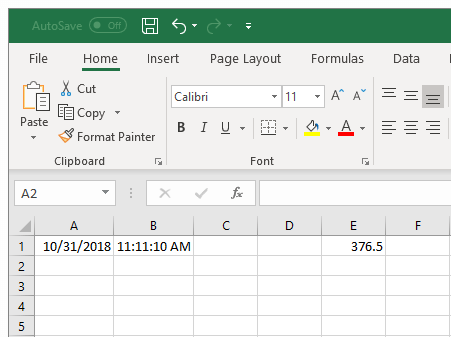 Excel does not have to be open and running in the foreground (it does not even have to be installed on the same computer). It is therefore particularly suitable for long-running unattended operations. 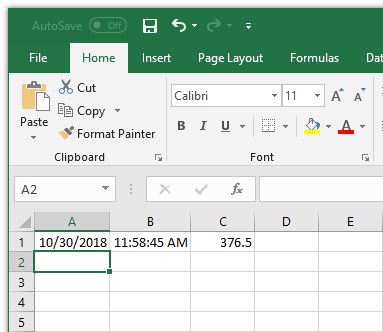 Concerning the date and time, you have two options when using SDL: Use the computer’s date and time or use the date and time sent by your scale. 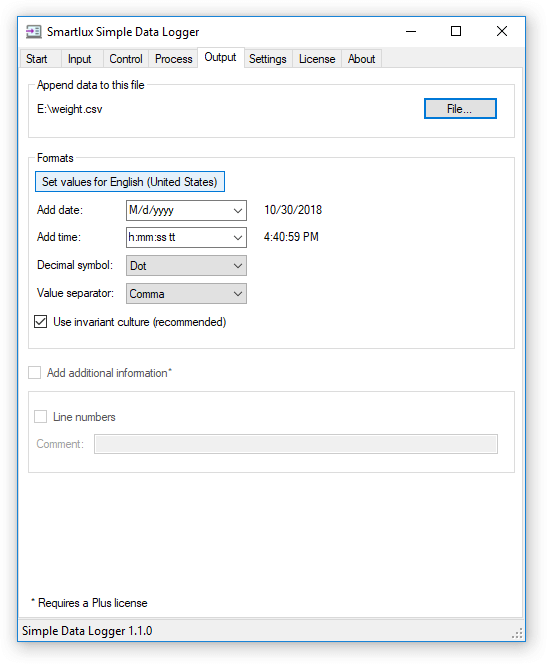 You’d usually choose this option if your scale only sends the weight or if the date and time format used by your scale does not match your requirements. 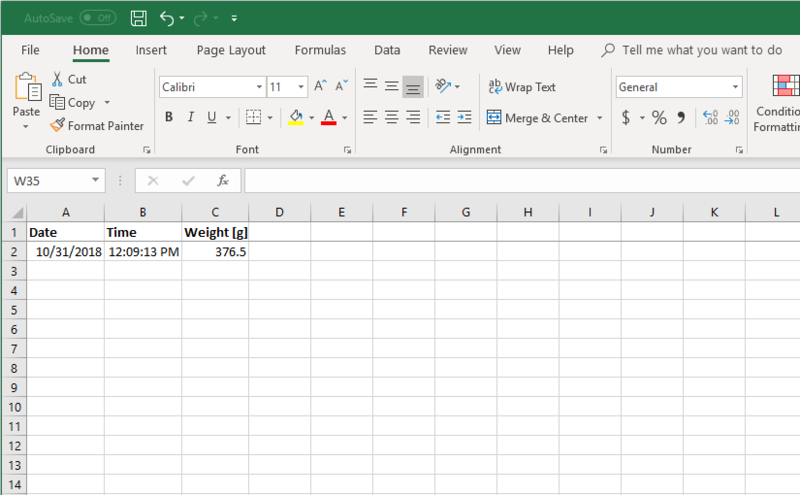 As mentioned above, the two empty columns preceding the weight appear due to the date and time values which were sent from the scale, but were not captured. You can simply delete them. The procedure is very similar to what we did with 232key above. 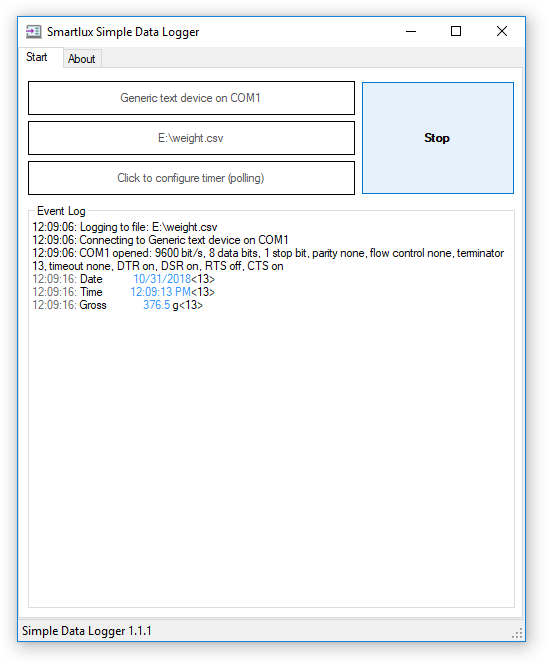 This will ensure that the date, time and weight values sent by the scale are all captured. 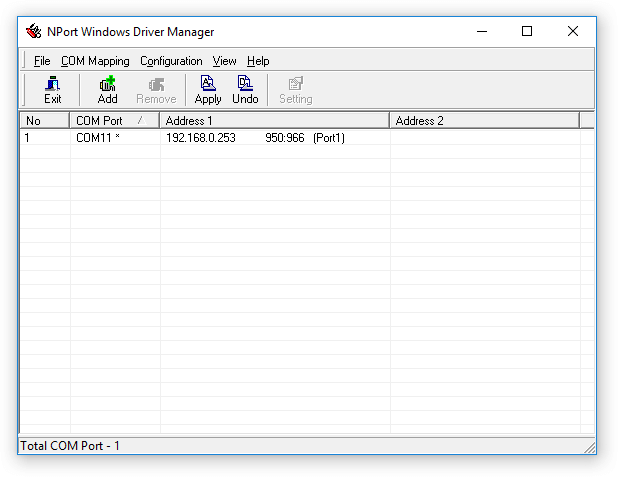 This free application allows you to configure the ClickOnce trust prompt behavior of your Windows operating system through a graphical user interface. 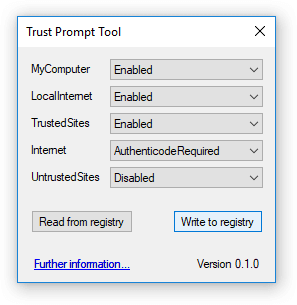 This is more convenient and safer than editing the registry directly.